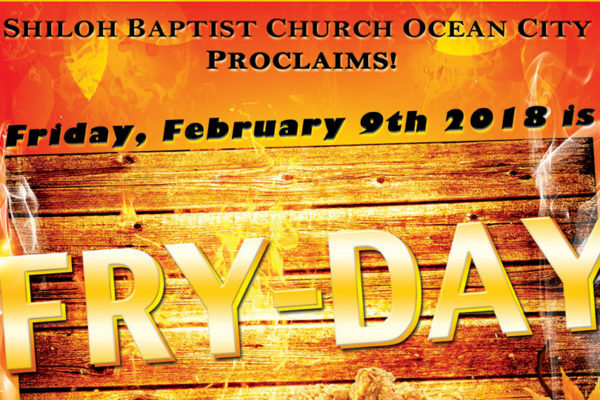 The Shiloh Baptist Church of Ocean City proclaims Friday, February 9, 2018 is Fry-Day! 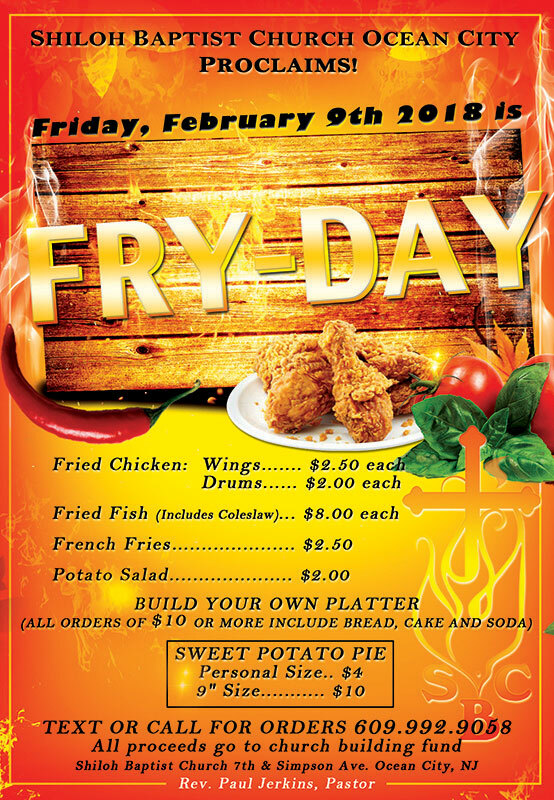 Help support the church building fund by ordering your choice of fried chicken wings or drums, fried fish, french fries and/or potato salad. Build your own platter! All orders of $10 or more will include bread, cake and a soda. And of course it wouldn’t be a church eat without some DELICIOUS sweet potato pie. Check out the flyer below and we hope to see you on Friday. Spread the word!